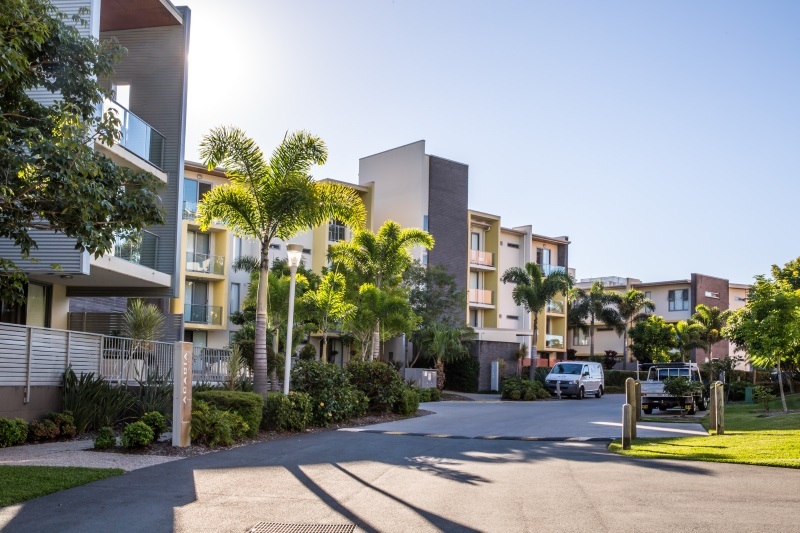 Gold Coast apartments without the ocean views, have quickly become the surprise success stories of the property market over the last 12 months. Mid-priced apartments in the $450,000 – $499,000 price range in fringe suburbs of the Gold Coast have out-performed ‘million-dollar plus’ apartments that are present in Surfers Paradise and Broadbeach. Developers have identified that purchasing an apartment outside of the typical Gold Coast city regions, are larger and more affordable – which makes for a more sustainable lifestyle, out of the busy parts of the city. These apartments and new developing projects, are close to shopping centers and golf courses. Most of the properties available or developing in the fringe suburbs are mostly low and medium rise projects – perfect for those who don’t want to live in a high-rise building. The average price of a two bedroom apartment is $267,000 cheaper in the fringe suburbs than the usual Broadbeach and Surfers Paradise locations. Without the traffic and busy streets. Future Planning? The light rail will benefit many that choose to live in the fringe suburbs, helping to cut peak traffic and travel times for outer city residents. Check out what we have for sale at Sphere, close to light rail, in the fringe suburbs, and affordable. All information courtesy of Brisbane Times.